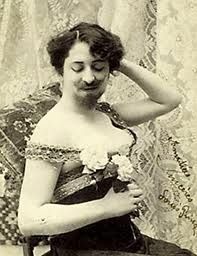 Bearded women in the sideshows of the 19th and 20th centuries were very popular with the crowds, but were often fakes (i.e. 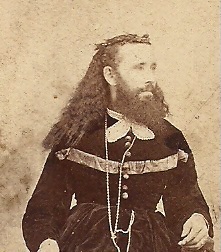 a man dressed like a woman). 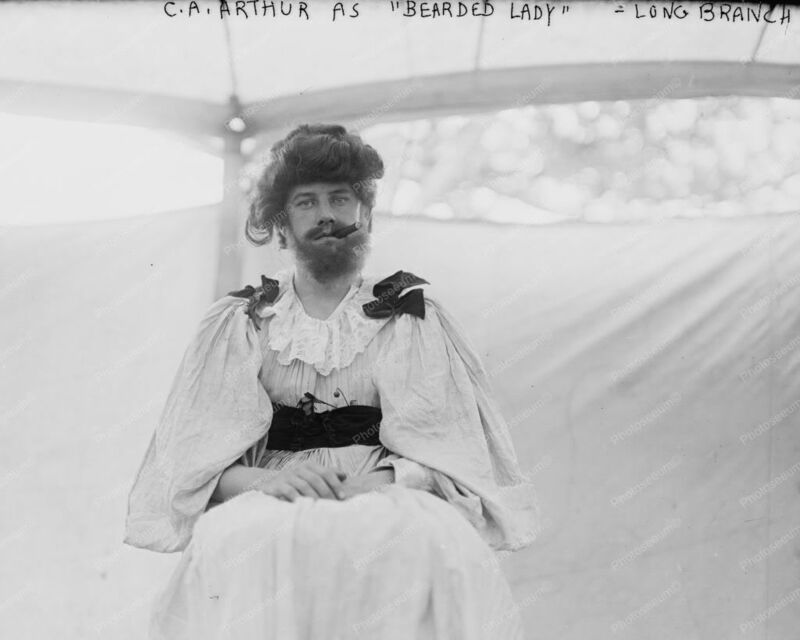 A real bearded Lady is a woman who grows excessive facial hair and has a distinct beard. 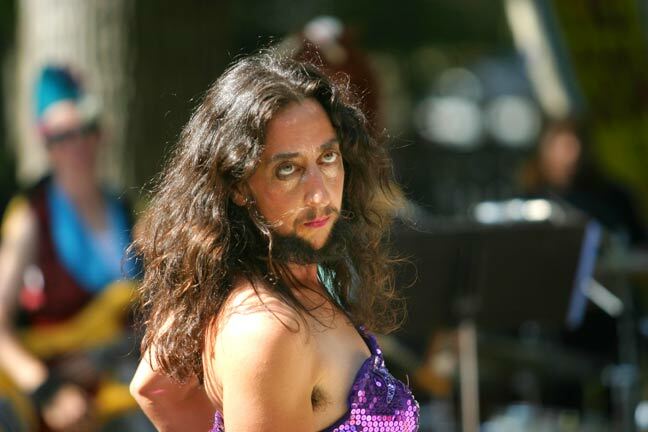 Female beard growth is usually the result of a hormonal imbalance, use of anabolic steroids, eating disorders, cancer, or congential hypertrichosis, a rare genetic disorder. Congenital hypertrichosis is a condition where fully pigmented, thick hair covers all parts of the body except the palms of the hands and the soles of the feet. Enlarged gums, often resulting in loss of teeth, are often another sympton associated with this condition. 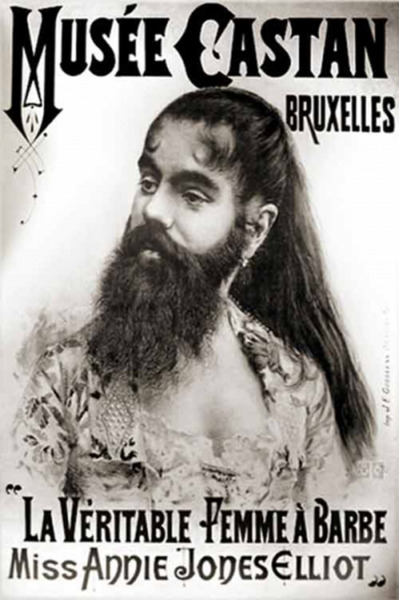 Congentital hypertrichosis is extremely rare; less than 200 cases of this condition have been documented. Congentital hypertrichosis, also referred to as “werewolf syndrome” may be at least partially responsible for the orgins of the werewolf tales. There are also other types of hypertrichosis that are not genetically related which result in excessive hair growth in women. 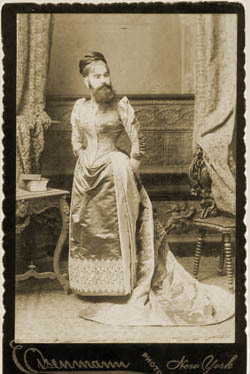 One type of hypertrichosis exclusive to women and children that results from an excess of androgen is called Hirsutism.